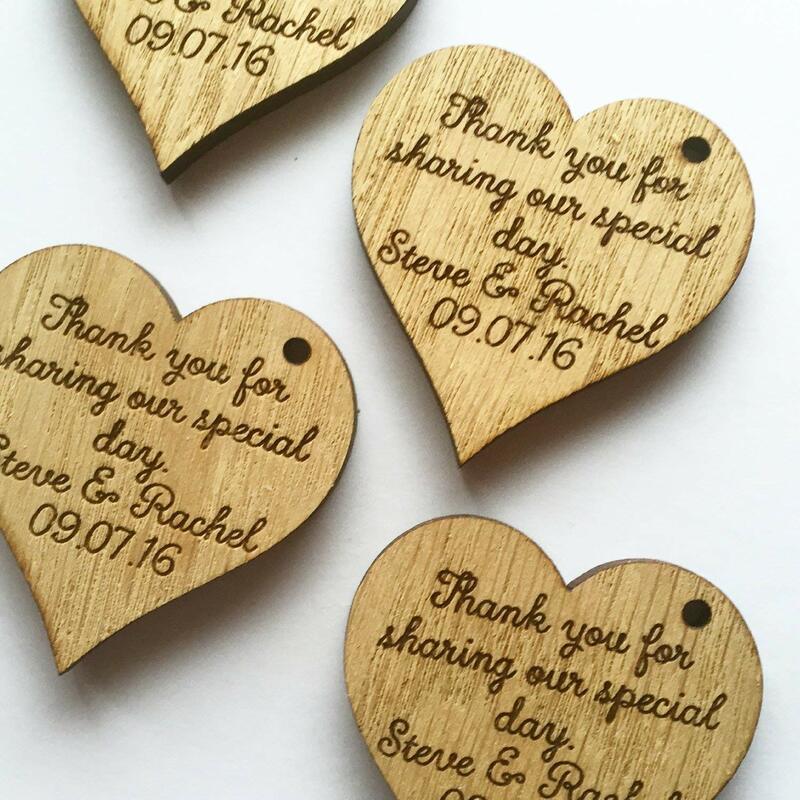 These wooden heart tags would make the easiest wedding favours for guests personalised with your names and wedding date. 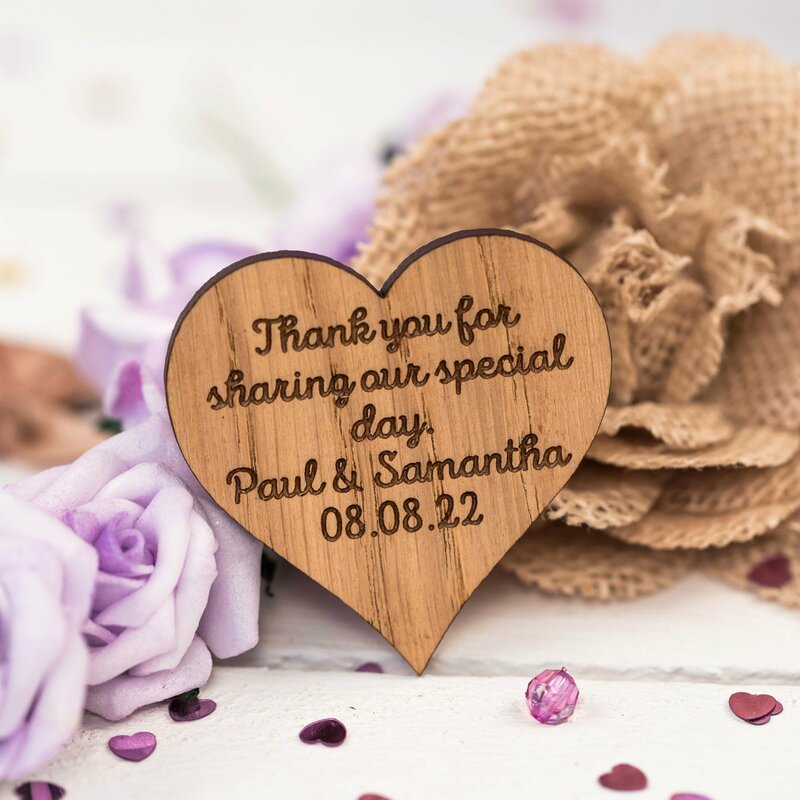 A great alternative to thank you for sharing our special day stickers or rustic wedding favours. Wooden heart shapes which can be utilized as wedding decorations to decorate your ceremony tables or use as wedding table confetti to spread across a gift table. Wedding table favours are popular as a wedding table decoration as they may be able to double up as décor in addition to a memento for your guests of your special day. To personalise your wooden charms use the boxes opposite to go into the couples names and wedding date. 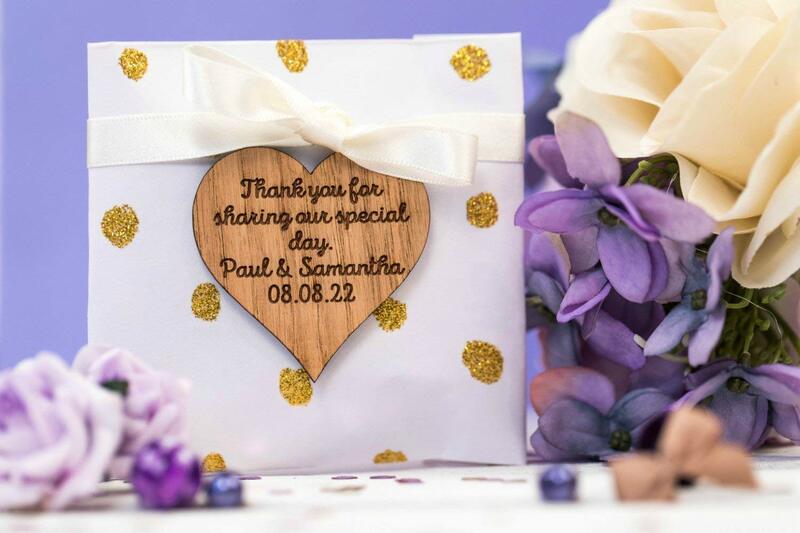 The wedding favors will have the ‘thank you for sharing our special day’ printed as standard. Tie these wedding charms to favour boxes as good luck charms to remove from the day and add sweets for a sweet treat. 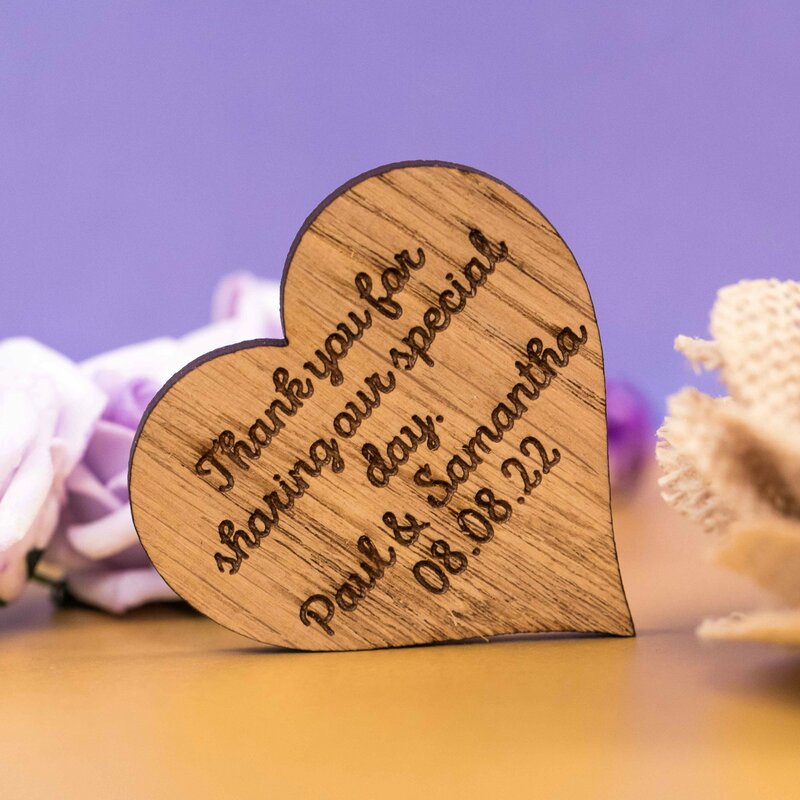 A great alternative to other wedding table decorations as they’re hardy being made of our rustic oak wood and expertly engraved in the New Forest, UK. We have a range of wedding table favours to offer which can also be given as wedding gifts for guests to fit into a rustic wedding theme. Visit our storefront for more information. These heart decorations are to be had in quite a lot of quantities. Each Oak finished wood heart measures 4 mm thick and approximately 4 x 4 cm (1.6 inches by 1.6 inches).